Audiophiles have long prized amplifiers with vacuum tubes for their smooth, musical and highly detailed sound. 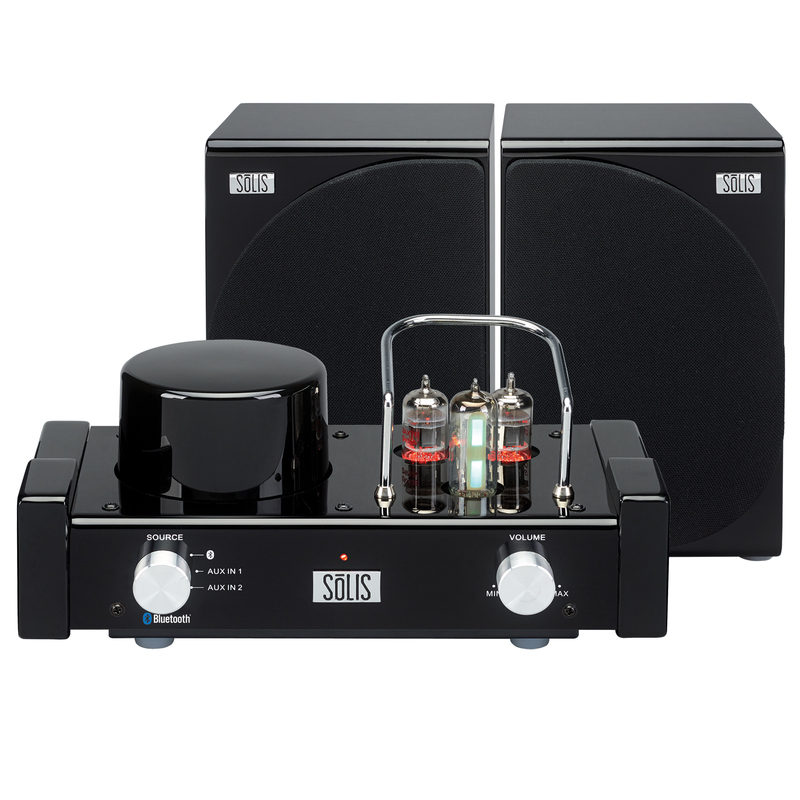 The SōLIS SO-8000 pairs a tube preamp section with a solid-state power output stage to achieve the best of both technologies – clean, crisp highs, warm, natural mids and the bass power and control of solid-state outputs. It’s a win/win for music lovers. The SO-8000 has everything you need to enjoy big component-system performance in a compact package. 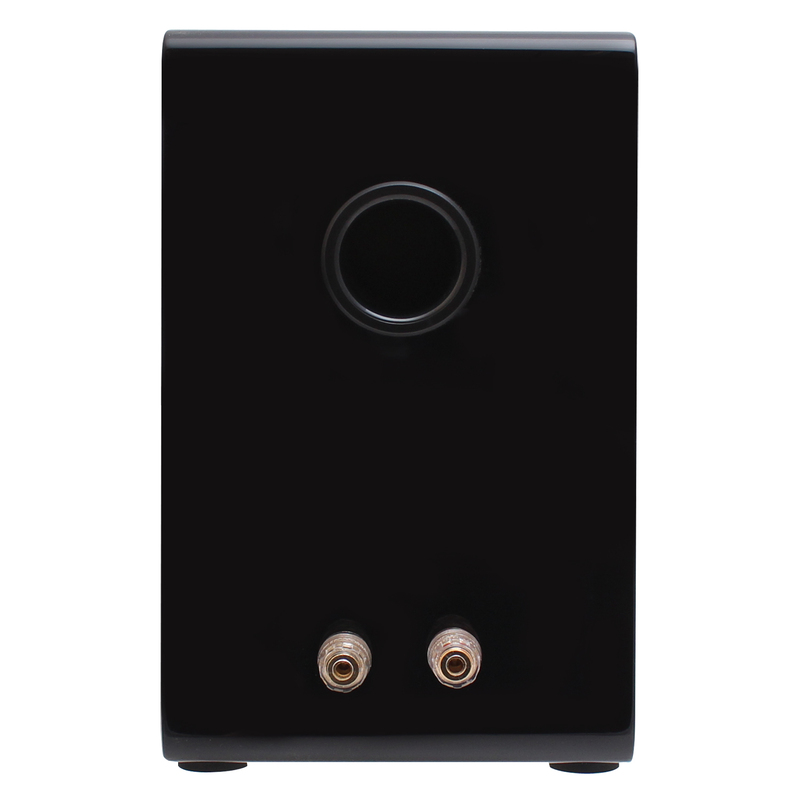 The classic high gloss black cabinet finish is accented with two preamp vacuum tubes, and a Magic Eye VU meter to indicate amplifier output. 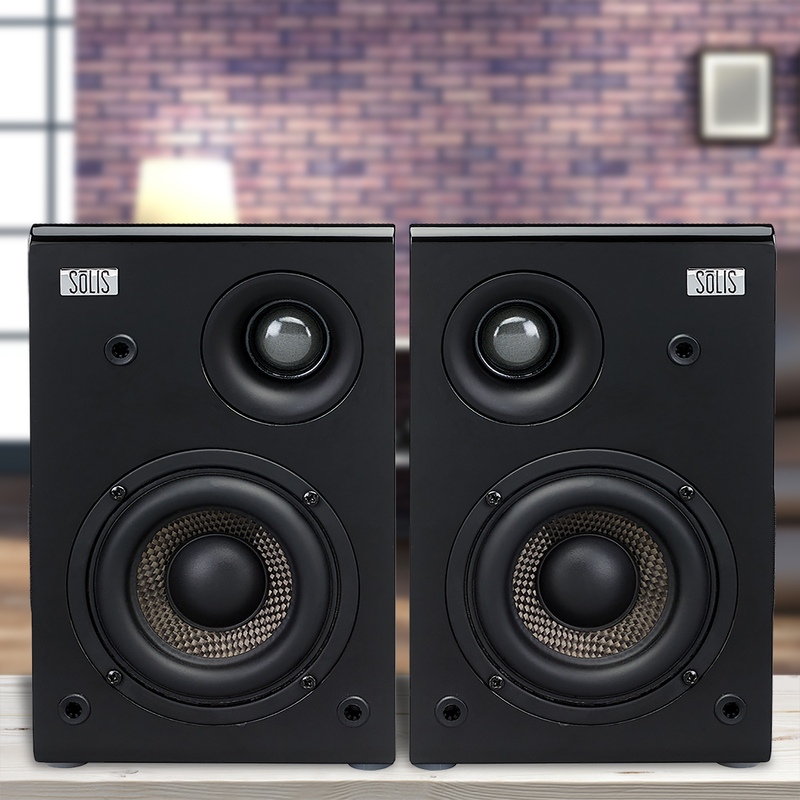 Each two–way bass reflex speaker takes up less than 7” of shelf space, yet will startle you with their life like clarity and room-filling sound. 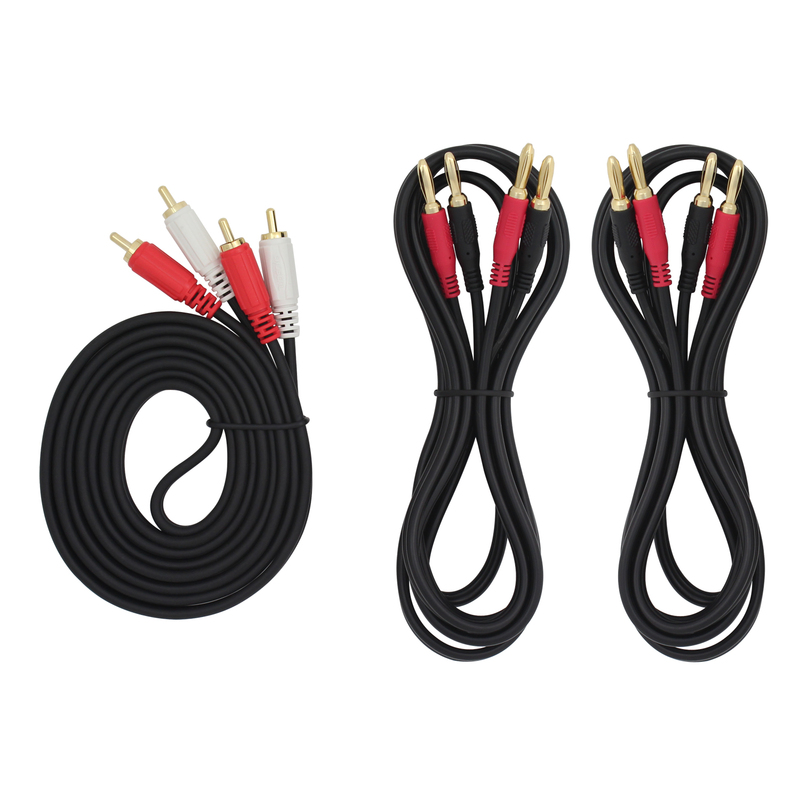 The SO-8000 includes Bluetooth for wireless streaming from your phone or Bluetooth device, and two auxiliary inputs for connecting other wired devices - great for listeners who have multiple music sources. The unit delivers 2 x 17W (RMS) and operates on 120V AC power. 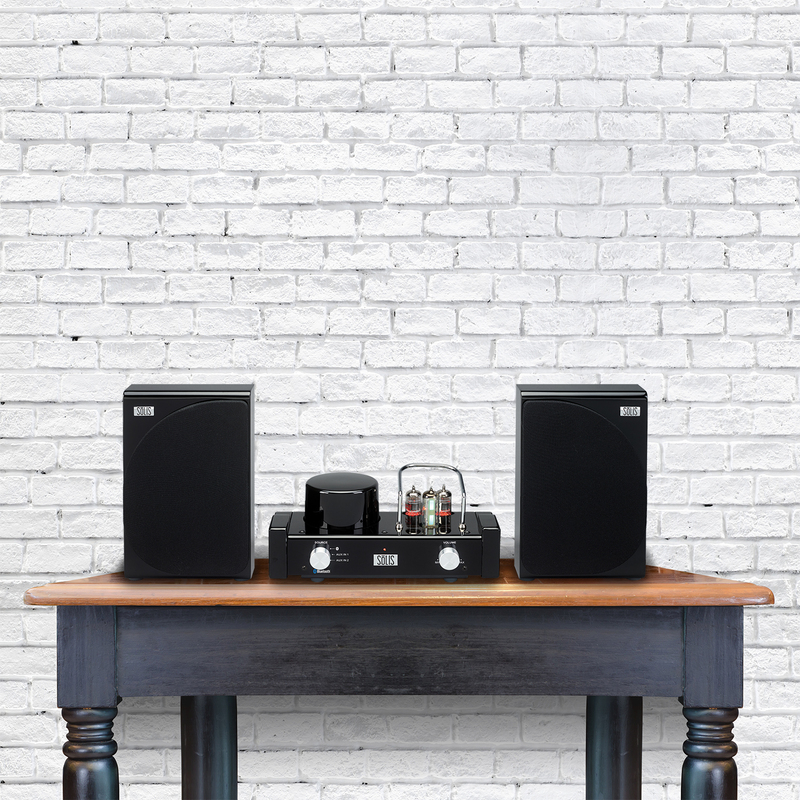 Leave no note unheard with the SōLIS SO-8000. Right click on thumbnails and select "Save link as…" to download hi-res images. 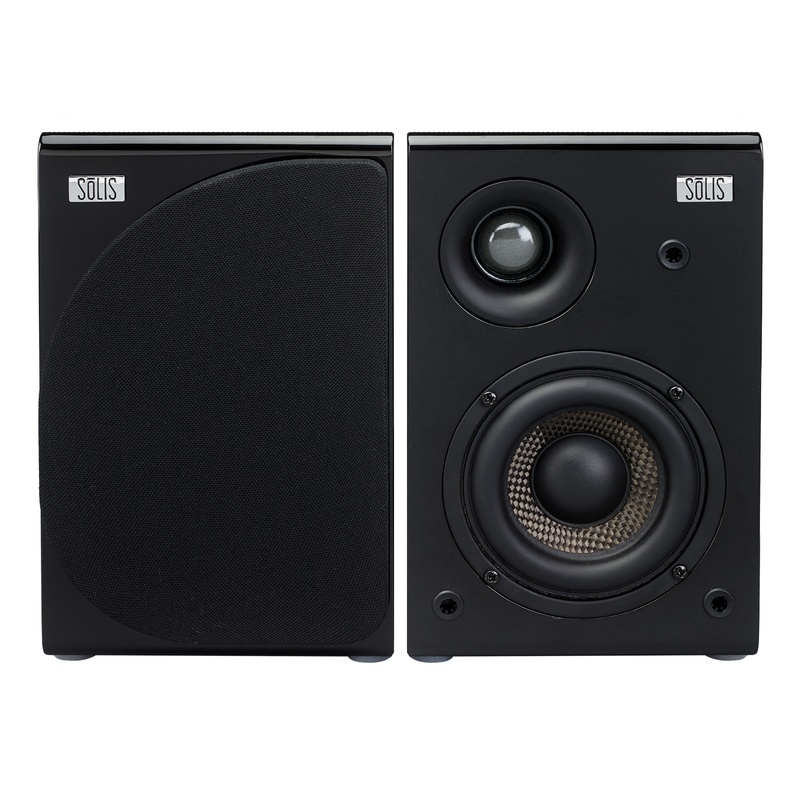 The matching speakers feature a 5-inch polymer cone woofer in a bass reflex (ported) enclosure for surprising bass impact from speakers that take up so little shelf space (less than 0.4 square feet each). 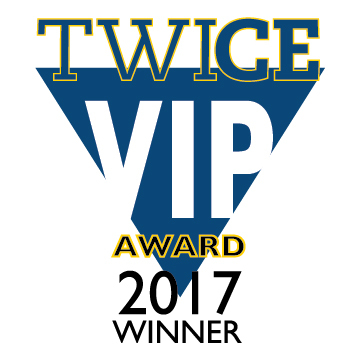 A 1.25-inch soft dome polymer tweeter provides the overtones necessary for perfectly recreating the timbre of instruments and voices. You won't believe your ears when you hear the quality of music coming out of this compact and high fashion system. 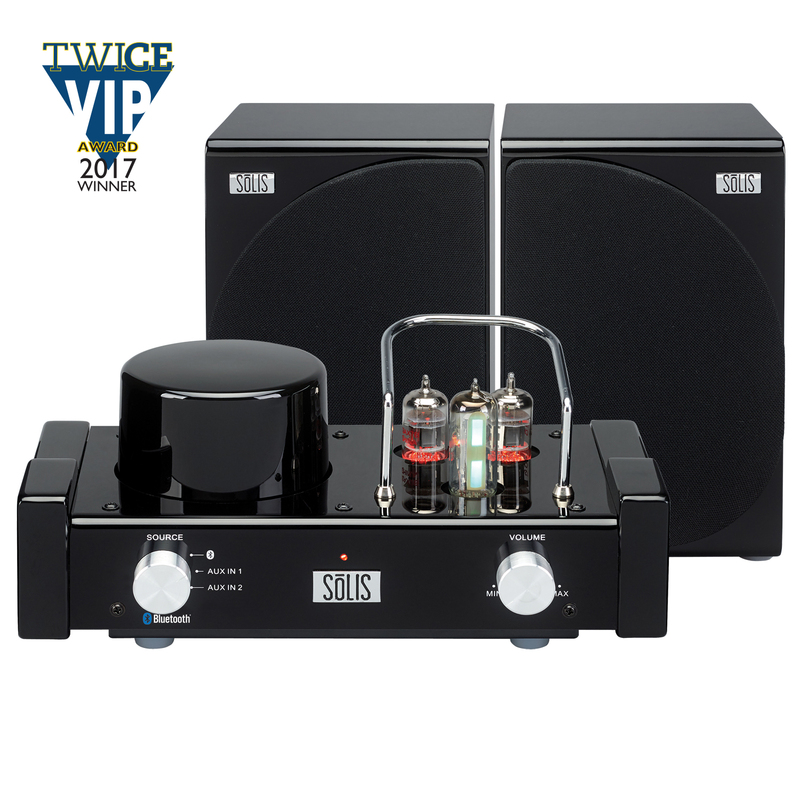 The SO-8000 amplifier’s high gloss finish, chrome highlights and warmly glowing tubes evoke the golden era of audio. The speakers’ black piano finish matches the amplifier for stunning good looks that add a high fashion accent to any decor. With the SO-8000 you can conveniently access all the music on your smart phone as well as music streaming services (such as Spotify and Pandora), and podcasts via Bluetooth connectivity. Built-in Bluetooth 4.0 with aptX™ allows wireless streaming of high quality audio from Bluetooth devices as far as 33 feet* away. * Range is dependent on number and materials of obstructing walls. 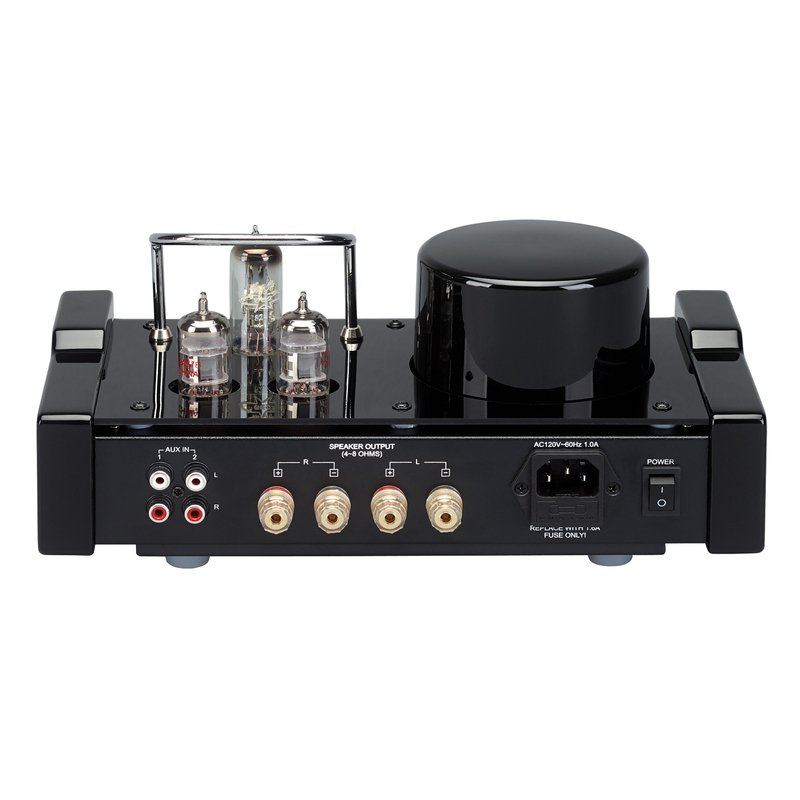 ** Use a turntable equipped with built-in phono preamplifier or a ceramic phono cartridge. ©2017 Spectra Merchandising International, Inc. All Rights Reserved. SŌLIS® is a registered trademark of Spectra Merchandising International, Inc.